With over 50 years of experience in the industry, we are constantly increasing our knowledge base in order to stay current on the latest financial news for our clients. We work with attorneys and accountants to ensure that all angles of your financial picture are considered, meaning our team has a fiduciary responsibility to advise you with nothing but the utmost integrity. We present our information to you in an understandable manner and are always available for advice or information, any time and as often as you wish. Our team approach to planning ensures a broad resource of financial knowledge but also specific care and a personal touch to meet your needs. We work with clients in the Central Ohio area and around the country wherever life may lead them. We are held to a professional standard (FINRA®:http://www.finra.org/), occupying a position of special trust and confidence when working with a client. We are required to act with undivided loyalty to the client. This includes disclosure of how we are compensated and any corresponding conflicts of interest. We are committed to exceeding the industries highest ethical standards while providing you with specialized service. Our Certified Financial Planners (CFP®) and Chartered Financial Consultants (ChFC®) have gone through extensive training to ensure they can skillfully meet your needs. This includes rigorous course study and annual continuing education requirements. 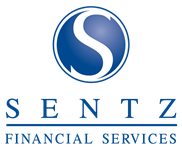 Meet the people who provide unmatched service to make Sentz Financial Services the best place for you and your financial goals.